The first video is from L.A. Marzulli's brand new show called Politics, Prophecy & the Supernatural Report. 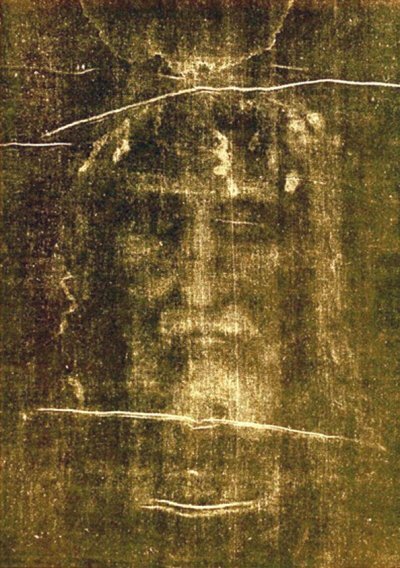 It again verifies what many of us have known through previous research, the Shroud is supernatural. The other videos also shed light of the mystery of the Shroud. -W.E. Is the Shroud of Turin real or an elaborate hoax? Come explore with Author and host of PPS Report, L. A. Marzulli, as we interview two of the worlds leading experts on the Shroud, Dame Isabel Piczek and The Right Honorable Barry Schwortz. After watching you may agree that the Shroud is God’s calling card. "When you look at the image of the Shroud, with the two bodies next to each other, you feel that it's a flat image. But, if you create, for instance, a three dimensional object as I did, then you realize that there is a strange dividing element - an interface from which the image is projected up and the image is projected down. The muscles of the body are absolutely not crushed against the stone of the tomb. They are perfect. It means that the body is hovering between the two sides of the shroud. What does that mean? That means that there is absolutely no gravity. The Image of the Holy Shroud is absolutely undistorted. Not at all, the exact opposite. The Shroud and the tomb signifies and unbelievable beginning. Because in the depth of the collapsed event horizon, there is something that science knows as singularity. This is exactly what started the universe in the Big Bang. We have nothing less in the tomb of Christ than the beginning of a new universe."